There are so many great conversations on the Hotline -- it's hard to choose a favorite. But we'll be doing it every day leading up to Thanksgiving to spread the wealth of our community's knowledge -- and to help you host the least stressful Thanksgiving yet. No promises on the crazy relatives. Today: Sometimes to-do lists aren't enough; we'll help you get your frozen bird to room temperature in no time. "Help! It's Thursday, 18 people are about to enter the flood gates (a.k.a. the front door) and my turkey is frozen solid." When all goes as planned, we recommend allowing 1 day of thawing in the refrigerator for every 4 pounds -- so ideally, that 20-pounder should have come out of the freezer on Saturday. 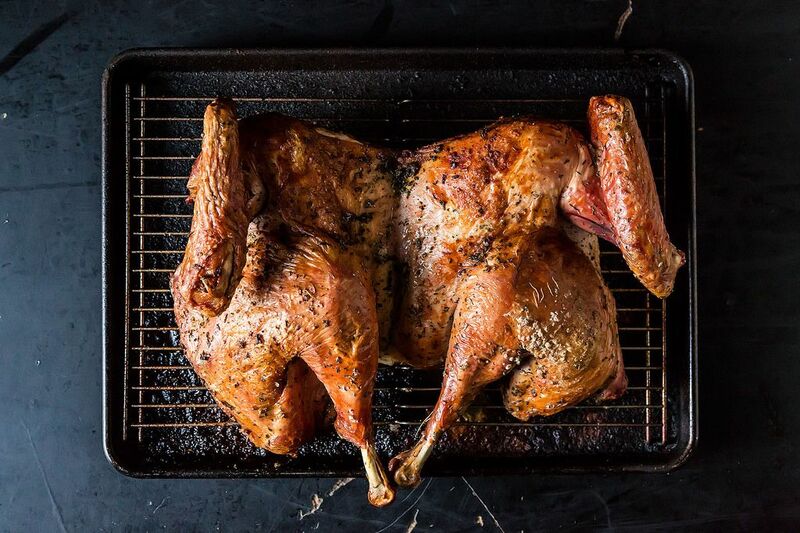 Executive Editor Kristen Miglore's never-fail turkey advice: Soak the bird in cold (never hot!) water, changing the water every 30 minutes. It should take about 30 minutes per pound. Then, cook it immediately. Steven Raichlen cautions: "It’s important for food safety reasons to keep the water at 40° F or less. You can add resealable bags of ice to the water to keep it cold. Never thaw the turkey in hot water as the outside will thaw long before the inside, risking dangerous bacterial growth." 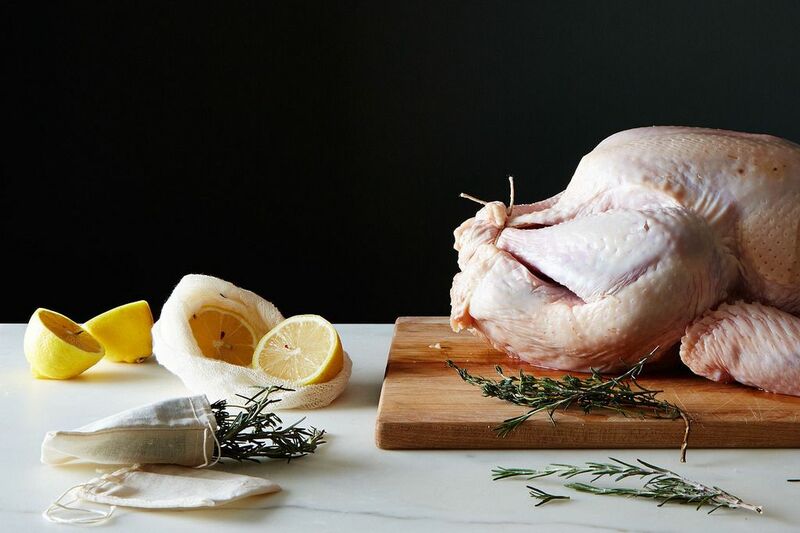 If you don't have a big enough container to soak the turkey in, you can always put the frozen bird in a bath tub, or the sink with a steady slow stream of cold water, says Chefbaltz and vvvannessa. Once you've successfully defrosted (well done! ), you may have a shorter cooking window. Lbowie suggests spatchcocking to cut your cooking time in half. 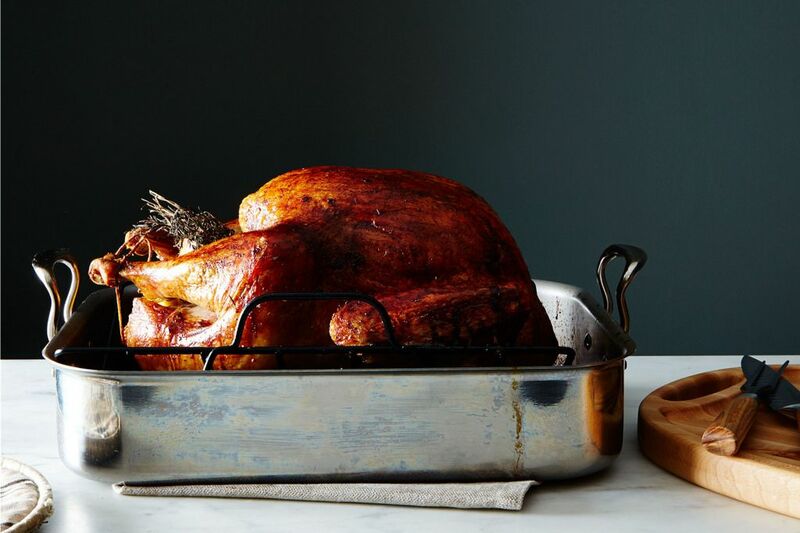 Tell us: Have you ever forgotten to thaw your turkey? Just cook it from frozen. It is safe and results in a delicious and moist bird! I'm confused. According to your calculations, it would take 10 hours to thaw a 20 lb turkey. If you discovered it at 8 am it wouldn't be thawed until 6:00 pm. Then you have to take some time for spatchcocking. If you can possibly get it done in 3 hrs, you would be eating somewhere between 9 and 10. My family would be rioting. Either you made a mistake in your stated thawing time or this is useless information. Hi Nancy, You're right—if you remember the morning-of, dinner will be late (better than no turkey, I think! Make extra snacks). *But* if you remember to defrost the night before (or the afternoon before), that gives you a little more time but you'll still need a little bit of help speeding the process up. Which is where this comes in handy! So we hope we can help people who are remembering to defrost right about now... Happy Thanksgiving! Oh, and I'm updating the article to make this a bit clearer. Thank you!